A more "deluxe" version of our archers vambrace. 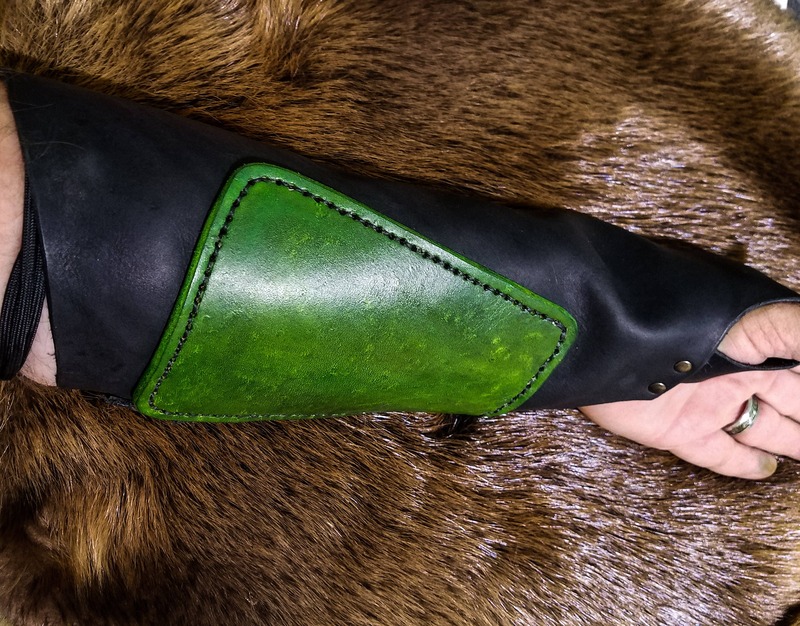 This vambrace draws inspiration from the elves of the woodland realm. 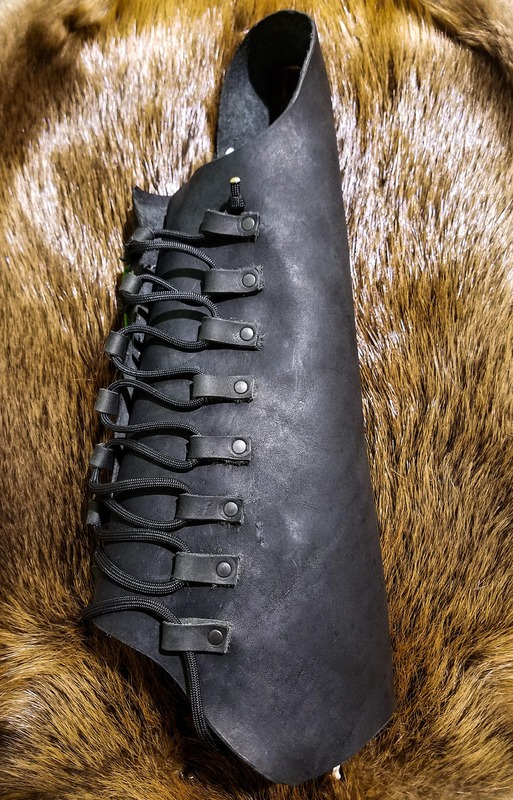 Each vambrace features a bottom layer of soft leather, and a top layer of sturdier 8-10 ounce leather to offer protection to your inner arm. 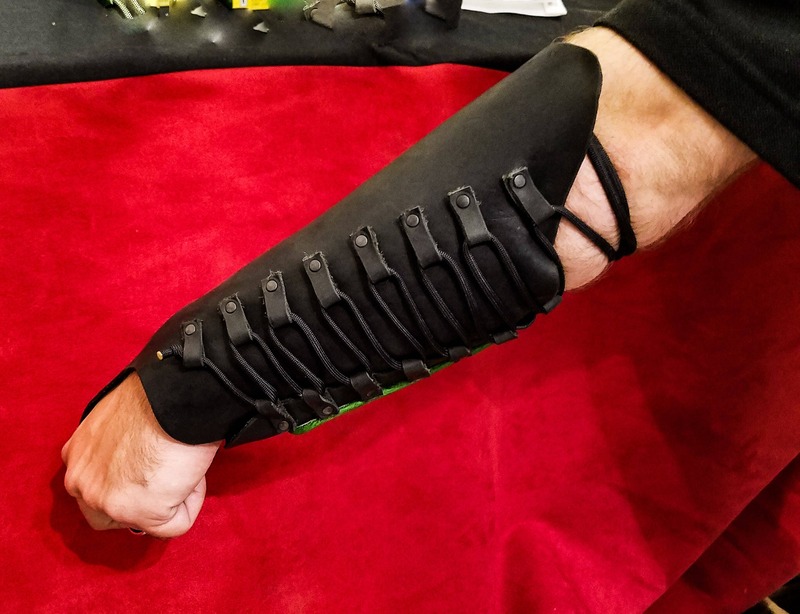 The vambrace laces to your arm on the outside and features a thumb loop that extends over your hand to protect you if shooting off of your hand. As a standard, each vambrace will be made right handed. Let me know when ordering if you are Left handed.